Disclosure: Thank you to JCPenney for collaborating with Something Gold, Something Blue to share this message with all of you. They provided me compensation for this post. However, this is a message that I strongly believe in and all opinions are my own. I have been so fortunate to be able to attend The Curvy Con in NYC this weekend! It has been an amazing experience to meet so many curvy women and brands that support each other! I whole-hardheartedly believe that the people in the room (along with SO many others) will change the perspective on body image! 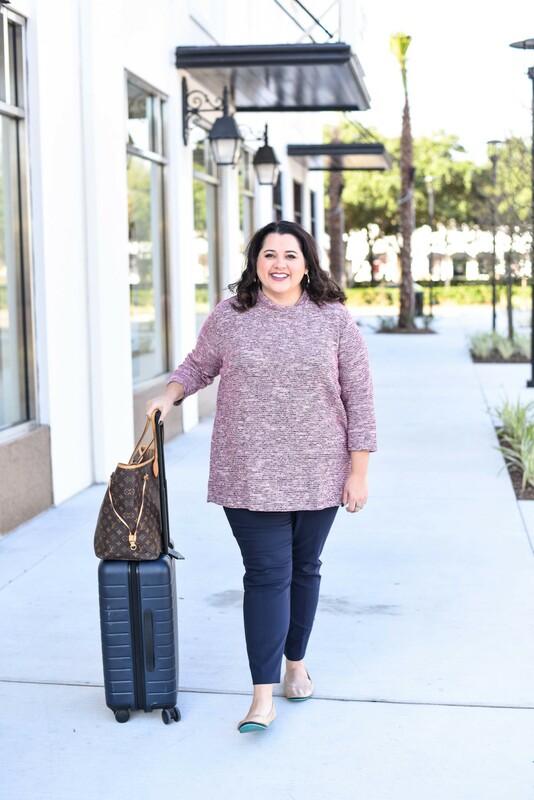 I have written multiple posts talking about my struggle to accept my weight and define who I am (if you missed them, check out these posts – full story, recent thoughts). I am so thankful for this blog and for all of you who have helped me to reach this confidence level! Your support means the world to me! 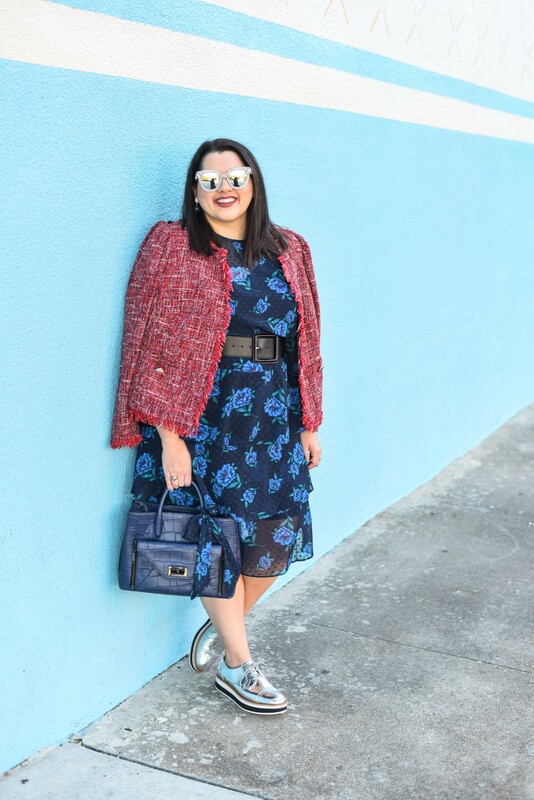 A few months ago when JCPenney announced they would launching their own private brand designed exclusively for the plus-size woman, I was ecstatic! Boutique+ has launched in their stores and has been designed by a dedicated team of design, trend and product experts whose focus is to ensure the looks of Boutique+ complement curvier shapes. In Boutique+, they offer sizes ranging from 0x-4x and 16W-30W in stores and online (and size 5x is available online)! I was/am excited to shop in the JCPenney stores with my gal pals for affordable and stylish clothing that will help me to represent who I am! Shopping in a brick and mortar store with my friends is something I rarely do because we can’t always shop at the same stores, but now we can! 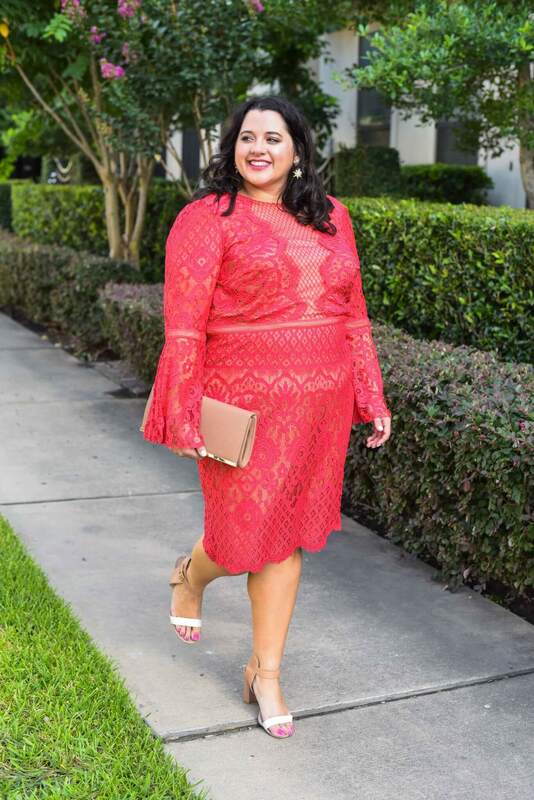 A few weeks ago, I debuted one of the inaugural looks from the collection (you can view all the outfit details here) and I am obsessed with how well the clothes are made and fit my curves. 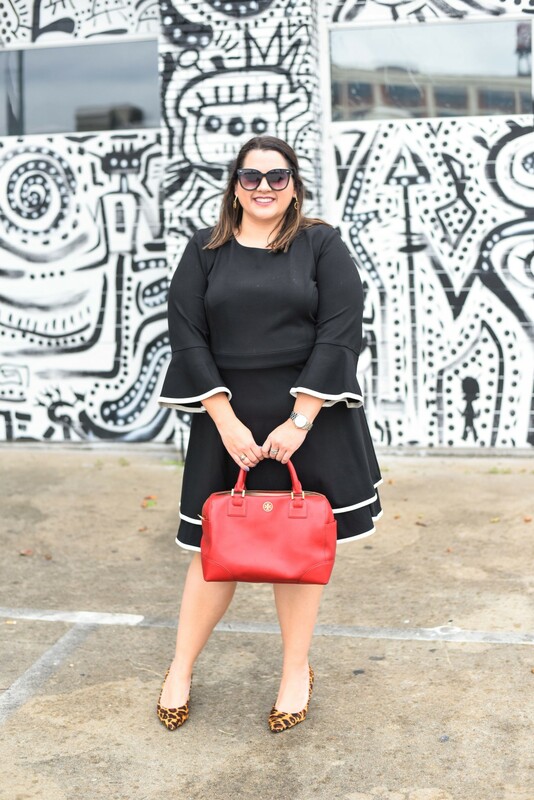 Plus, they are so trendy – I can’t wait to see what the Boutique will have next! Today, at Curvy Con, JCPenney launched this amazing video, #HereIAm, which is sharing the message of body positivity and self-acceptance. One of my favorite messages in the video is that no one should be defined by their size and we can do ANYTHING we set our minds to. Make sure the watch the Here I Am video below which features amazing women who are changing the perspective of what it means to be curvy. This video is amazing!! There are SO many things that I could say about it! Let’s first start off my talking about some of my favorite quotes from it! “The only person that should be defining me IS ME!” – Damn right (sorry, I don’t usually use this strong of language, but I couldn’t resist)! I think this goes for all aspects of life – whether it’s your body composition, race, religion, sexual orientation, gender, whatever it may be. No one should be able to tell you who you should be or what the norm is! To me, body positivity means so much more than loving my curves. It’s about embracing and appreciating what my body allows me to do. It’s about going out with friends, wearing what I want and not worrying about covering my arms. It’s about going to a new fitness class and loving every minute of it (ok, well for the most part – it is still a challenge). 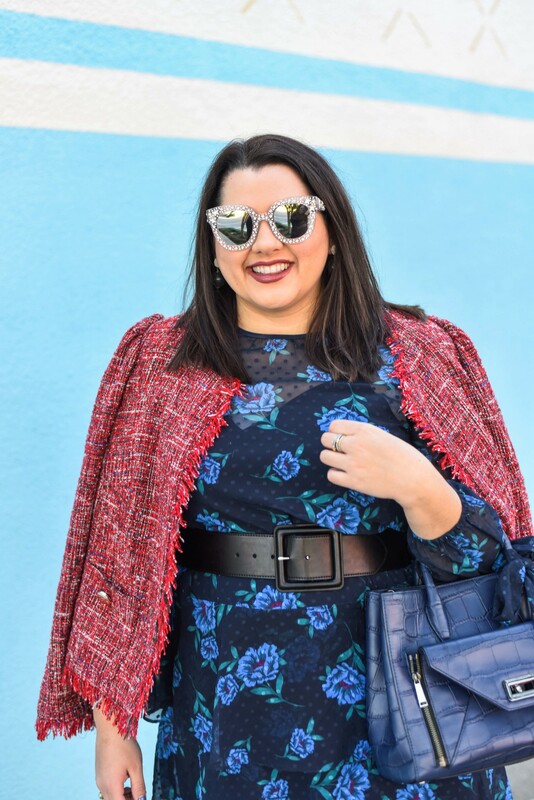 It’s about starting a curvy style blog. It’s about writing blog posts where I am vulnerable about my struggles with my weight and the journey to accept my whole self. Most of all, it’s about continually doing the things I love and not being afraid to shine! What does it mean to you? I would love to hear what you think about this video, so please let me know what you think in the comments below! Also, I’ll be participating in a Twitter Chat with JCPenney on Monday (6/20) at noon (CST)! Make sure to follow SGSB and JCPenney to join us in discussing this video and the body positivity movement, in general. Before we go, I will leave y’all with one of the most important quotes from the video! Ok, I lied – here are a few more body positive quotes from these amazing role models! I love the pink skirt with the black leather. It really gives the look an edgy vibe! Thank you! I love this outfit because of the differences in fabric! pink pleats are everywhere ! i just snagged my own too! I agree! I love the look of pleated skirts! This video is AWESOME. I love when you wrote this: To me, body positivity means so much more than loving my curves. It’s about embracing and appreciating what my body allows me to do. It’s about going out with friends, wearing what I want and not worrying about covering my arms. It’s about going to a new fitness class and loving every minute of it (ok, well for the most part – it is still a challenge). It’s so true – our bodies are more than as size. It’s a vessel and allows us to live healthy lives! Thank you so much, Krista! Our bodies do so many amazing things for us and treating it right is so important! Absolutely love your skirt! So pretty. I love everything about this, and everything about you! I didn’t even know there was a curvy con, but that’s fantastic! Aww…thanks so much, Angie! I love this message and was so happy to share it with everyone! And the Curvy Con was such a great experience – to be with other curvy women celebrating our sizes -it was fantastic!!! Thank you, Suzanne! I still tear up every time I watch the video! I agree, Megan, thank you! I love the message of this campaign! Beautiful women and a beautiful message!